Confessions of a Single Parent Pessimist: Win a Mini-B Beanbag! Would you like to win a child/toddler's bean bag worth £59.99? I am giving you the chance to win one Mini-B B-bag, with 11 colour choices that can be found here, for your child or toddler. 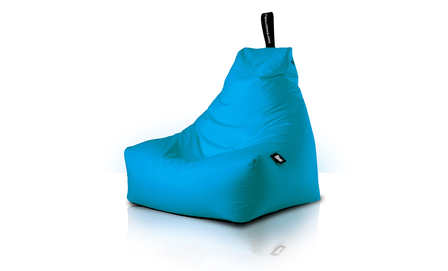 I have reviewed the brown version yesterday here, so you can get an idea of how good these beanbags are! To be in with a chance, complete the form below and remember to do it honestly, as I will be checking all entries before entering them into the draw! The winner will then be contacted for their colour choice and address details for it to be delivered to them. I would choose pink for my youngest daughter! They look great thank you! I would choose pink for my niece Willow. I would pick lime for my kids to share! Blue for my sons to share. I would pick the aqua one. my son is due soon so would put it in his room as a comfy place for me to sit and bf/sleep on!